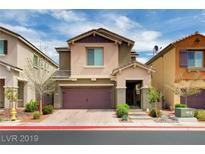 Below you can view all the homes for sale in the Westpark Summerlin Village subdivision located in Las Vegas Nevada. Listings in Westpark Summerlin Village are updated daily from data we receive from the Las Vegas multiple listing service. To learn more about any of these homes or to receive custom notifications when a new property is listed for sale in Westpark Summerlin Village, give us a call at 702-323-5933. *This LEED Certified home has all the bells and whistles you could be looking for*Kitchen boasts stainless steel appliances, upgraded granite & custom cabinets*With this home located in Summerlin Centre, you are walking distance to Downtown Summerlin, which includes great restaurants and shopping, not to mention the new LV Ballpark*This home has been meticulously cared for! ! MLS#2086924. RE/MAX CENTRAL. All this and it's on a Cul d' sac! MLS#2088009. ATG Realty Group. This is Summerlin living at its best! MLS#2085474. Realty ONE Group, Inc. Interior upgrades include designer window coverings, man made laminate flooring, custom cabinets, granite counters, designer pendent lights at breakfast bar, GE stainless steel appliances at kitchen plus so much more. Welcome Home! MLS#2082522. Elite Realty. 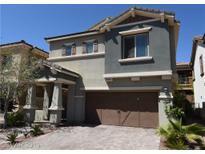 On cul­de­sac in the beautiful Summerlin community of Villa Trieste. MLS#2073263. Keller Williams VIP. Community pool and park along with common area maintenance are part of the HOA. MLS#2039501. OD Nevada Brokerage, LLC.